We asked Culver’s guests to nominate someone in their lives who goes above and beyond the everyday. We set off to celebrate a few of these everyday heroes with Concrete Mixers and a surprise worthy of their accomplishments. Nick Seefeld plays a big part in his small community of Aledo, Illinois. He is a police sergeant, volunteer firefighter and active member of his local VFW. On top of all that, he also organizes the building of memorials around town, making sure other heroes get the recognition they deserve. Even when he’s not on duty as a police officer or volunteer firefighter, Nick continues to serve his community. He is well known in Aledo for the work he does as part of the local VFW post, where he volunteers by maintaining the grounds and raising the flag for national holidays. He has also organized the building of veterans’ memorials around town, the most recent one for Mercer County soldiers who died in the post-9/11 wars. Placed in the center of town, the memorial included statues, flags, benches and a wall with the soldiers’ names and faces. Nick’s dedication to honoring his fellow veterans and servicemen and women shows true patriotism. When Culver’s contacted Vickie with the wish to honor Nick, she wasn’t sure they could keep it a secret. The idea of honoring Nick for his service spread through the community like wildfire. Everyone who knew Nick felt the celebration was long overdue; no one deserved it more. Vickie enlisted the help of some friends and family members, who organized a get together at the local VFW post. Nick’s friends and family would attend, along with his fellow VFW members, police officers and firefighters. Even the mayor of Aledo would make an appearance. When the day for the surprise came, Nick admitted he suspected something was up, as he noticed more activity than usual around the VFW post. Nick never imagined, however, that what was happening was a celebration for him. He arrived at the VFW post after work to be surprised by Craig Culver and Culver’s team members, thanking him for his incredible service to his community and country and handing out Concrete Mixers for everyone to enjoy. “We’ve heard about all the great things you have done in your community. We are just honored to meet you,” said Craig. Nick was touched by the surprise, and everyone there agreed it was a great way to show Nick how much he was appreciated. Want to join Nick in honoring those who have served our country? Donate to the VFW to support our nation’s veterans. As a child, Donna Wiebelhaus spent her free time riding horseback on her grandparents’ ranch. When Donna left her job as a school librarian, she fell right back into horseback riding, but she missed making a difference in children’s lives. That feeling led her to open SpiritHorse Liberty. Participants in SpiritHorse Liberty’s services benefit from therapy in many ways. For many participants with physical disabilities, riding horseback allows them to strengthen muscles that they normally would not use. Other participants form special connections with the horses that allow them to come out of their shells. Donna reports that she has heard more than one rider speak their first words or form their first full sentences while riding horseback. Through the riding therapy, participants form special bonds, not only with the horses but with Donna and the volunteers as well. Trust is an important part of horseback riding, and the participants and volunteers form lasting relationships during therapy. Elva Caballero’s son has benefited from his time with Donna. “He feels very confident when he rides the horse. There is a kind of chemistry they have, and he loves it,” Elva said. Culver’s made the trip to Liberty to honor her for everything she does as founder of SpiritHorse Liberty. 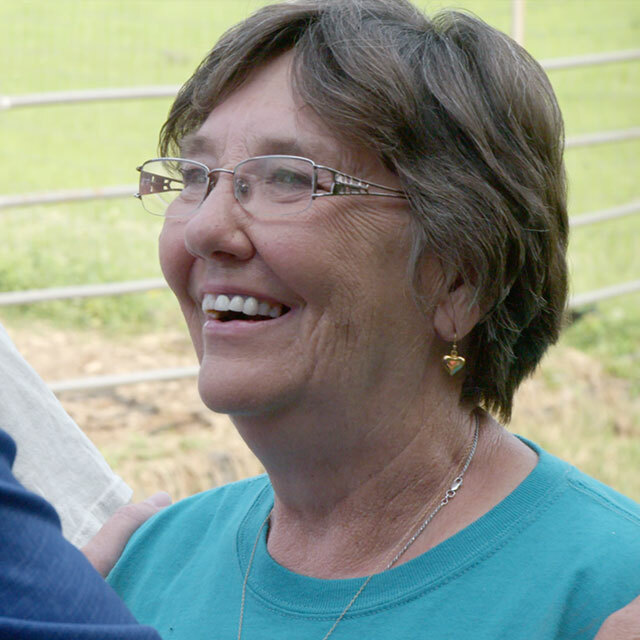 Craig Culver and team members surprised her on her ranch, where they passed out Concrete Mixers for Donna and her volunteers, therapy participants and their parents to enjoy. Donna was quick to credit her accomplishments to her team of volunteers, but it was clear that they felt she was the true hero. Donate to SpiritHorse Liberty to help more people with disabilities and victims of abuse benefit from its services. 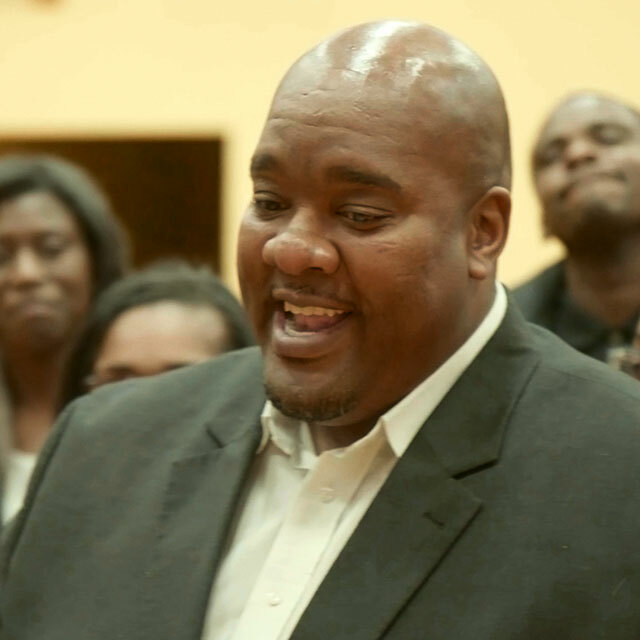 Michael Johnson works tirelessly to improve his community in Madison, Wisconsin. From his position as the CEO of the Boys & Girls Club of Dane County to the countless hours of community outreach he performs, Michael is a role model to many. Five years into his career with the Boys & Girls Club, Michael and his team have raised over $15 million for the organization, which empowers young people through its youth development programs. Students in the Boys & Girls Club’s tutoring and mentorship program have achieved a 90% high school graduation rate, and Michael has helped to secure scholarship opportunities for students who may otherwise not be able to afford a college degree. His efforts ensure that kids in his community can achieve their dreams. 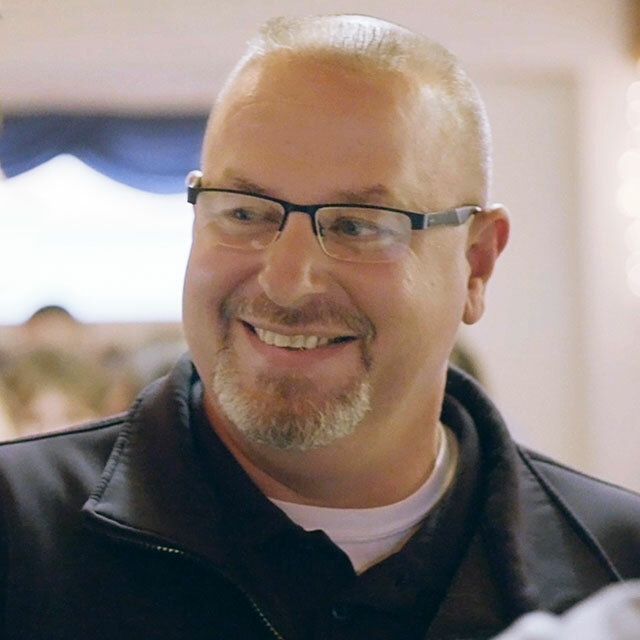 His dedication to serving has reached beyond the Madison community; recently he organized donations and drove a truck full of bottled water to residents in Flint, Michigan, who were in need. Efforts like these inspire the children in his community, and have turned Michael into a role model for Madison youth. “He does a great job of finding the best in people and teaching kids to find the best in themselves. That takes a lot of work. You can’t do that in one day or one week or one month. You have to do that year after year after year, and he does that,” said Julia. Culver’s stopped by the Boys & Girls Club to show our appreciation for the incredible service that Michael has performed for his community and beyond. Craig and Culver’s team members joined community members, staff and kids to surprise Michael with a celebration worthy of his achievements, complete with Concrete Mixers made with Reese’s®. Instead of keeping the attention to himself, Michael was quick to share the honor with his wife, children and colleagues. He praised them for their efforts in helping children secure bright futures. By 2018, Michael hopes to increase the number of children served at the Boys & Girls Club of Dane County from 3,000 to 10,000. Donate to help achieve this goal.